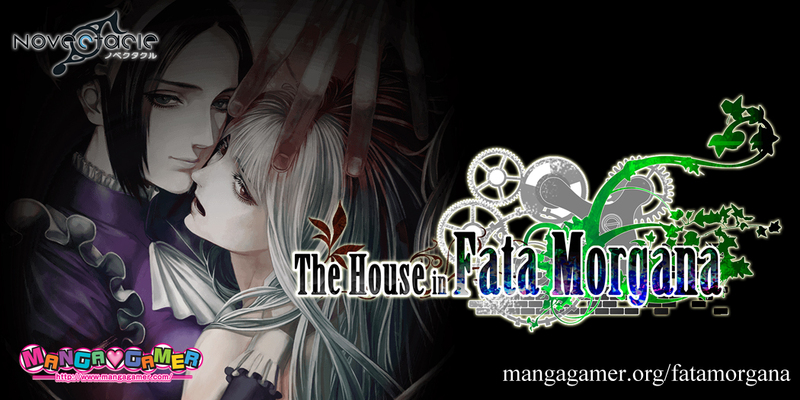 The House in Fata Morgana Now On Sale! Hello, everyone. My name is Keika Hanada, author of The House in Fata Morgana, and I would like to take a little bit of your time to talk about what kind of game it is. Fata Morgana is a collection of four tragic, loosely related short stories. …Or so it appears at first. But in truth, the game is much larger than that, its pieces more deeply connected than they seem. And once you reach the end of the first four tales, the story shifts focus to You and to answering the many questions You (and you) may have. The House in Fata Morgana is a story with many mysteries (or perhaps I should say plot threads) scattered about, but I give you my word, as the author, that none of these threads are left dangling. That you will find your answers. That everything comes together in a satisfying, cathartic conclusion. And why can I promise you that? Because we at Novectacle love stories, and we created Fata Morgana for readers who love them as much as we do. 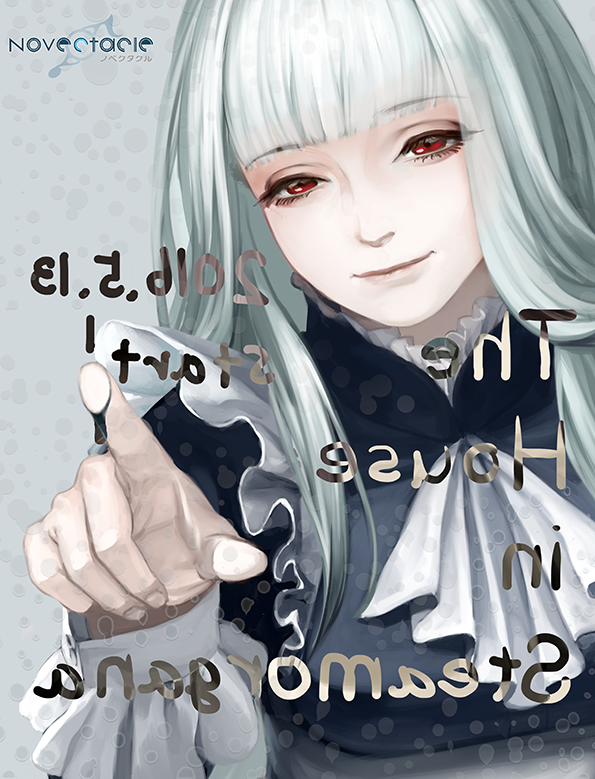 The House in Fata Morgana is a visual novel, but it is not a dating sim or an otome game. It’s not targeted specifically at men or women, but everyone who enjoys stories. Do you like mysteries? What about suspense? Or characters you would not want to be stuck alone in a room with? Are you looking for unexpected twists or something to make you cry? Well, Fata Morgana has all of that and more. If you’re someone who just likes a good story, we’re certain you’ll enjoy the game, and we hope you see it through to the end and uncover all its many secrets. Update 5/19/2016: If you downloaded The House in Fata Morgana from MangaGamer.com prior to today, we have an update patch for you (fixing a few typos and whatnot). Just download the patch and drop it into the install directory. If you bought the game on Steam or downloaded it after this update your game should already be updated to the latest version. Is a steam key included if I buy it from the Mangagamer site? Sorry we no longer distribute steam keys with purchase. Update was live on steam (9 hours ago), When on here? I didn’t see this blog post when I first bought Fata Morgana so I’m a little late in commenting, but I just had to say that although I’ve only played a few hours of it so far, I’m thoroughly enjoying it! The art style and music immediately caught and held my interest from the get-go, and the story and characters seem very intriguing, with a lot of layers and hidden depths to them – it’s one of those games where, upon seeing it, I immediately thought it was like it was made just for me, it contains so many elements that I look for in media.